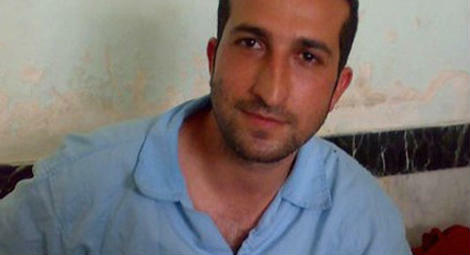 Pastor Yousef Nadarkhani has been detained following a violent raid on his home in Rasht by the police on the morning of 22 July. CSW’s sources report that police smashed the front door of the pastor’s home, punched the pastor and his teenaged son Daniel, and used electrical batons on them, despite the fact that they were offering no resistance. The pastor’s wife and other children were at the house at the time. The pastor was then reportedly taken to Evin prison. Pastor Nadarkhani was home on bail awaiting a summons to prison following the failure in May of an appeal against his conviction, and that of fellow Church of Iran members Mohammadreza Omidi, Yasser Mossayebzadeh, and Saheb Fadaie, on charges of ‘acting against national security’ by ‘promoting Zionist Christianity’. All four had been given ten year sentences; however, the pastor and Mr Omidi received an additional two years each, to be served in remote and inhospitable locations in the south of the country. The four Christians had been arrested in Rasht on 13 May 2016 during a series of raids by security agents on Christian homes. In July 2017, they were found guilty of ‘acting against national security’ by ‘promoting Zionist Christianity’ and given ten-year sentences by Judge Ahmadzadeh, head judge of the 26th Branch of the Islamic Revolutionary Court in Tehran, who is accused of overseeing miscarriages of justice, and is subject to financial sanctions in the United Kingdom. Their appeal hearing on 13 December 2017 took place before Judge Hassan Babaee and Judge Ahmad Zargar, both of whom are alleged to have played prominent roles in the crackdown on freedom of expression in Iran. Judge Zargar, a Hojjatolislam, was amongst several Iranian officials deemed responsible or complicit in serious human rights violations in 2012. He was also one of six judges accused in 2014 of losing judicial impartiality and overseeing miscarriages of justice in trials involving journalists, lawyers, political activists and members of Iran’s ethnic and religious minorities. Lawyers representing the four Christian men were notified by text message of the failure of the appeal by the Iranian authorities in Rasht on 2 May 2018. Pastor Nardarkhani has been imprisoned before. He was arrested in 2009 after going to his children’s school to question the Muslim monopoly of religious education for children, which he felt was unconstitutional. He was charged with apostasy and sentenced to death in 2010, a decision that was upheld by the Supreme Court in 2011. On 8 September 2012, he was released from prison following his acquittal on apostasy charges, but was found guilty on charges of evangelising. The pastor was recalled to prison on 25 December 2012 to complete the remainder of a three year sentence for evangelism, and was released on 7 January 2013. A Hojjatolislam is the clerical position immediately below an Ayatollah.